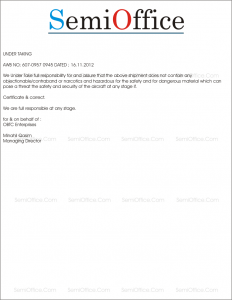 Sample letter of undertaking for shipping the export items by sea and by air for clearance of the export items and their quality. It is required by many airlines, govt departments of USA, EU, UK and many other countries to allow the shipping of export items. 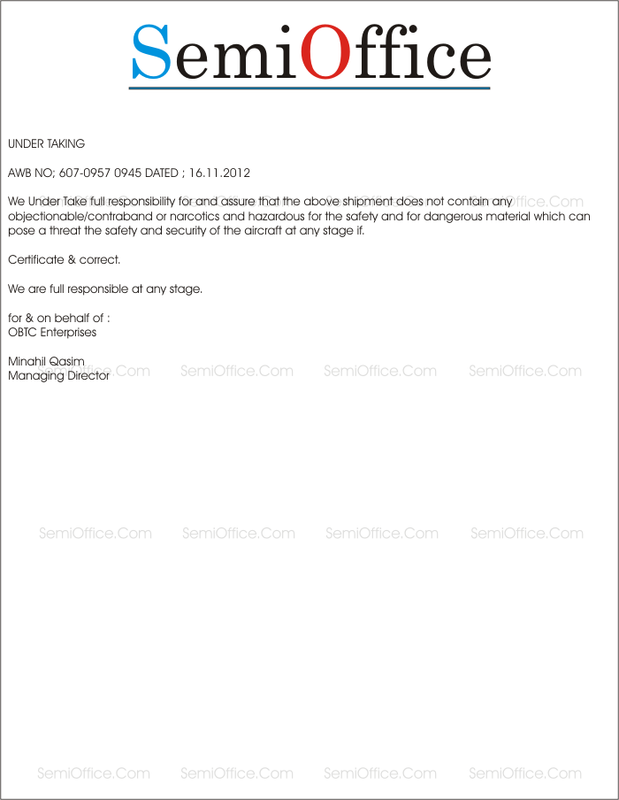 We Under Take full responsibility for and assure that the above shipment does not contain any objectionable/contraband or narcotics and hazardous for the safety and for dangerous material which can pose a threat the safety and security of the aircraft at any stage. We are full responsible at any stage.